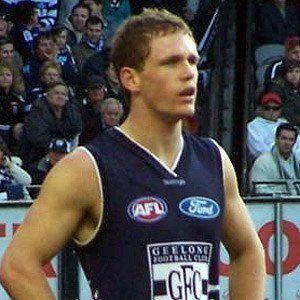 Australian rules football midfielder known for his speed who made his AFL debut in 2008 for Geelong and was selected to his first All-Australian team the following year. He competed in track and was a state hurdling champion. He was nicknamed "Boy Wonder" for his early success. He has three brothers: Scott, Adam, and Troy. He has been compared to Chris Judd for his success right out of the gate.